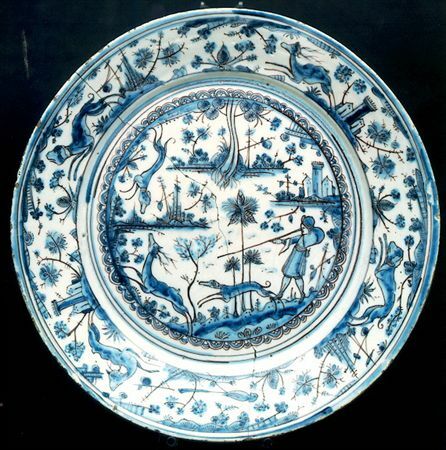 Tin-glazed earthenware, also known as majolica or faience, served as a substitute for porcelain. 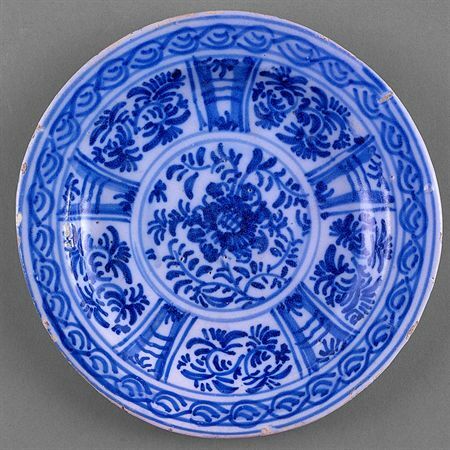 The typical blue-on-white design imitated the white porcelain decorated with blue glaze that was most common among porcelain shipments from China. 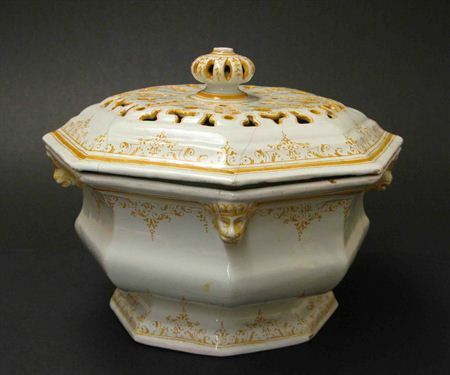 Earthenware was, however, an imperfect imitation of porcelain as the material lacked porcelain's lightness, strength and translucence. Earthenware cups often cracked when filled with boiling water, so the material was not a good choice for drinking tea, coffee or chocolate. The material also chips easily, revealing the reddish clay underneath the glaze, a clear indicator that the vessels are not porcelain.